Two weeks later we reconvened to discover much about this young, social media savvy, vibrant, infectiously enthusiastic, business woman. We began our chat with gasps of thanks to Nicoletta for the beautiful gifts she brought both of us. 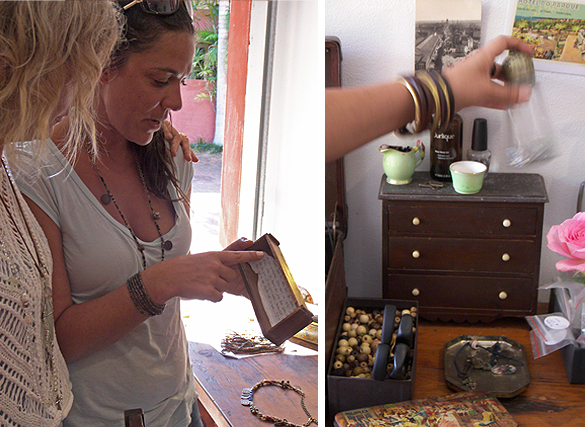 She had two collections of tiny stringed beads for us, as well as a wooden bangle with the words ‘Republic of You’ etched into them. 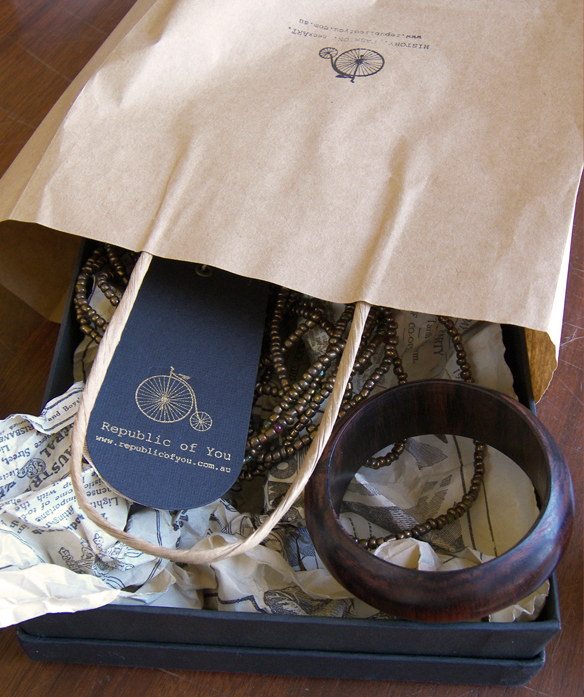 The items had been presented inside a charcoal coloured box with gold ‘Republic of You’ logo embossed on the lid. 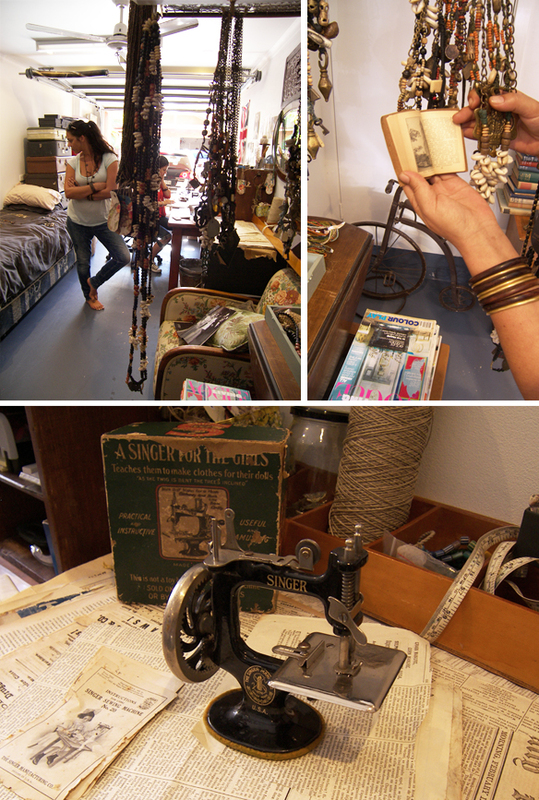 The items, complete with hand made swing tags, sat on a bed of crumpled vintage newspaper. The presentation had clearly been well thought out. Intrigued by this focus on social media marketing and attention to detail with packaging, we asked Nicoletta to tell us about her jewellery business, ‘Republic of You’. Well, initially I started making dog necklaces as I am dog mad. I made one for my mother’s dog and one for mine but mum did the protective thing and highlighted all the things that could go wrong… like “what if a dog choked as a result of the necklace dangling… or it chewed one of the charms and choked. How would you feel?” So I chopped up the dog necklaces and turned them into a neck piece that I began wearing. I made three more and one day when I was in Island Luxe the owner asked me where I got my necklace. When I told her I made it, she asked to see more. So, excitedly, I dashed home and promptly began making more. I made 18 pieces of which Island Luxe bought 12. A couple of weeks later they placed two more orders. That gave me the confidence to get started. How did you come up with the name ‘Republic of You’? It basically it came out of a realisation that I didn’t know who I was. 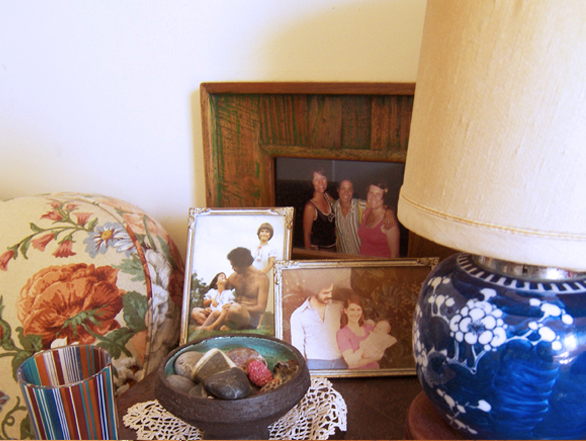 My father died suddenly in 1997 and I inherited a lot of his stuff… he was an antique and art collector, so he had big collections of art, music and furniture… I ended up with a lot of it, and one day I realised I was just a shadow of my father. I needed to find who I really was… so, I sold all his stuff, much to the distain of my family, other than a couple of key pieces like the Blackman’s (Charles Blackman) and other things which weren’t necessarily of any value, but meant a lot to me. I decided to use that money to go travelling, but it wasn’t until I came back to Byron that I really felt comfortable and it’s here that I’ve been able to redefine myself. So that’s where Republic of You came from. 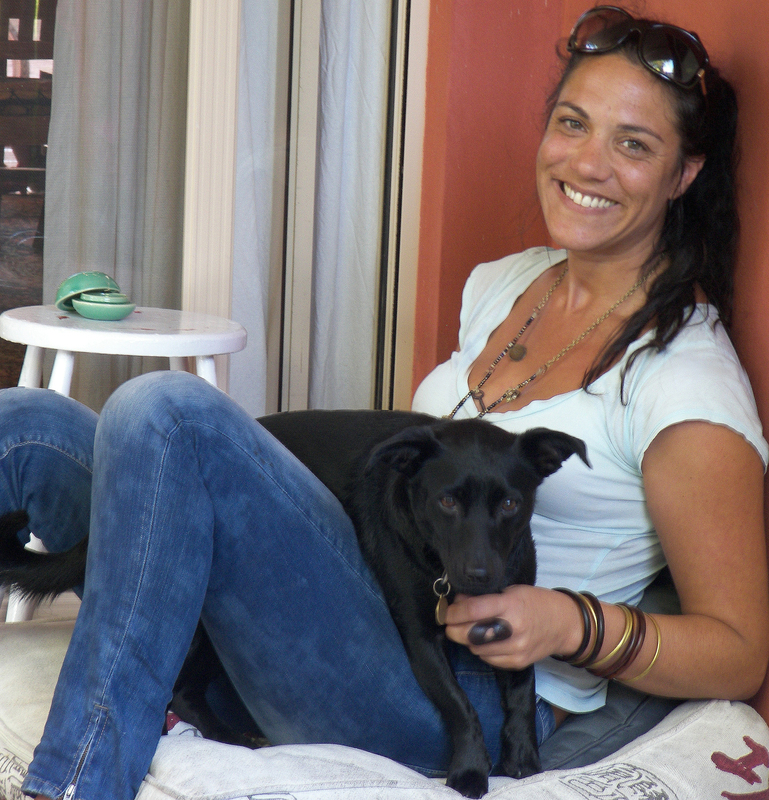 It’s about defining who you are… and whoever you are is ok.
Have you always lived in Byron? No, I’m from Melbourne and came here in 2001… four years after dad died. His death was so sudden and such a shock that after spending several years processing my grief I decided I needed to get away. I needed some space to deal with life and so came up here to create a fresh start. I didn’t know anyone but I brought all my earthly possessions and everything I had inherited from dad. That was when I realised I was just a shadow of him. Did you inherit your creativity from your father? I’m not sure… I actually never thought of myself as creative. But you clearly are… when do you think you started playing with creative ideas? Well, I’ve never studied anything artistic but when I went overseas I took a lot of photos, as you do… and I got a lot of positive feedback. So when I returned I put an exhibition together. It was pretty big, around 200 people, but I didn’t sell a thing. I realised I didn’t have the technical skills to be a professional photographer so I let that go. Then I began writing a book, and although that was amazing, it was a very solitary, intense process, so I gave that away also. Yeah, I suppose I have. I also created a collection of hand-made greeting cards. In the first few years after moving to Byron, I gave up my job at the Great Northern and to see me through the winter I made a range of cards I called ‘Cards that Rock’. I’d collect shells and stones from the beach, wash them, arrange them, and stick them on these cards and sell them to shops and people around town. The interesting thing about that was when we were kids, my dad, sister and I use to write these beautiful long, loving cards to one another at Christmas and birthdays, but mum never did. She would keep it pretty basic, like ‘Happy Birthday – Love Mum’… and I remember feeling disappointed that we weren’t close. I just threw those cards away, but one day the penny dropped and I realised it wasn’t that mum didn’t love me as much as dad did, it was just that she wasn’t able to express it in the same way. So on the back of my card creations, I had a little blurb that said…’Cards that Rock – this card is yours because someone who loves, appreciates and believes in you, holds you close to their heart’. Mum still doesn’t know those words were about her. She will now…if she reads this interview! Despite you saying you’re not creative, you have obviously allowed yourself to play with it. Yeah, I have… even though I never had lessons in necklace making, or photography, or writing… in fact I failed English at school and was still saying I didn’t have a creative bone in my body when I moved to Byron back in 2001. 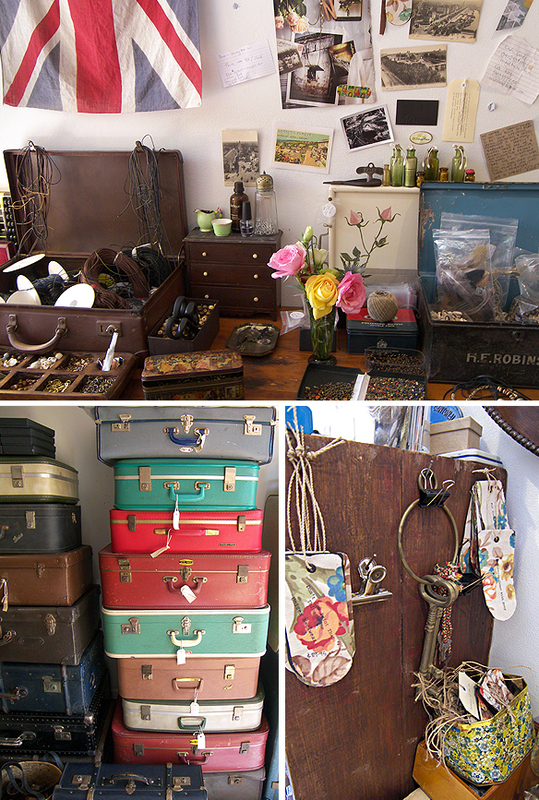 Snaps around Nicoletta’s studio – for someone who doesn’t like travelling, she sure has a lot of suitcases! It could be said that nurturing creativity has been quite natural to women in the past, but it is great that there is a resurgence of interest, particularly in craft, these days. It is a great way for women to come together in community, isn’t it? Yes, definitely. My favourite day of the week is Tuesday, when another designer, Eva King, comes into the studio and creates pieces with me. We sit there and talk, laugh, cry, drink tea, eat cake and have the best day just making necklaces. It’s something I would like to do more of with others in the future. Females and family have been strong in my life… I draw strength from those who have walked before me. My Grandmother was an amazing woman… her story is incredible… she died a few years ago… but when she was a child, she was in an orphanage in Egypt, and the King of Egypt came and hand picked her to be one of his main servants. He sent her off to a French finishing school where she learnt seven languages and her main craft, needlework… she did the needlework and embroidery on the wedding dress for the King’s bride. And see this gorgeous doll’s chest… this was given to Aunty May… she was my great grandmother’s, father’s sister. She came to Australia by ship, from Jersey, England in 1854. She was six at the time and the chest was made by the ship’s carpenter. It was given to my grandmother in 1924, then passed on to me in 2005. Someone asked me recently, “Where does the knotting thing come from?” in my neckART. I realised it probably stems from my grandmother… the journey my business is taking just feels incredibly easy and organic. I feel like those in my family who have gone before me keep prompting me from up there, and are helping me on this creative journey with ‘Republic of You’. Republic of You will be officially launched in November. Where do you see your label going? Every piece is a one-off, which is why I call it neckART. So for me, it’s not really about collecting a list of stockists. 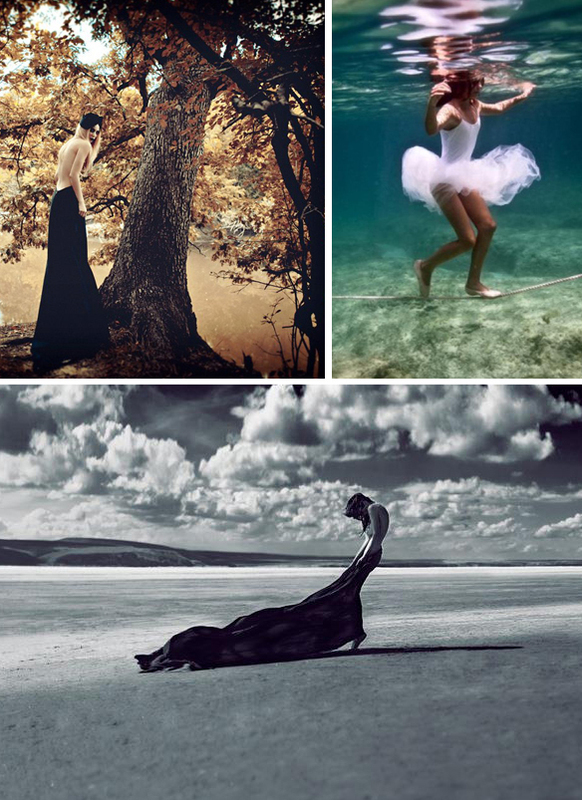 I want to remain really exclusive with Island Luxe here, maybe one or two other stores in Australia… then I want to take my label to New York, Paris, London, Spain and that’s it… one shop in each. I’m looking forward to launching my website. We did this great photo shoot for it and have also created an amazing video which I’m dying to release. In the meantime, I have just been building my social media presence with facebook, blogging, instagram and pinterest. I think in today’s economic climate we can’t afford the risks of having a shopfront, so I have put my time and energy into my social media stuff to build my potential followers/buyers. Tell us about the social media factor. It’s massive, because I decided not to have a shop front… I use the analogy that if someone’s shop is in Jonson Street they have the passing traffic, but if it’s in the back streets of Byron, how do you get the traffic there? What I’m doing is making people aware of my brand, or the personality of my brand. It’s not about sales… I want people to be inspired by what I do… to get them talking about it. If someone presses the like button on my business page it’s like them saying “Hi… welcome, come into my world.” So I show respect by not bombarding them with everything Republic of You, but rather sharing what I find beautiful, interesting and inspiring. How do you work? What does your typical day look like? It’s constantly changing. It use to be… wake up, coffee and check my social media pages, but now it’s wake up, lighthouse walk, coffee, then home to do social media… although sometimes – as you girls know…I do the social media thing at the Top Shop from my iPhone. At the moment half of my time is spent on social media/marketing and the rest is focused on jewellery making, trawling the net for materials for my necklaces, naming each piece, photographing them and then the boring stuff like bookkeeping. Do you get most of your materials online? There is a lot unique stuff there. Yeah, pretty much everything is from online. 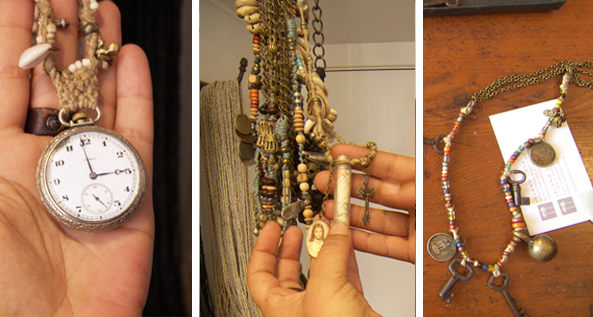 A massive portion of the materials I use are antique and I spend hours upon hours sourcing. But I love it. I also spend many hours creating the designs and getting the Republic of You look and feel just right. You are obviously into detail and carefully grooming the whole look before you launch the label… it must be an enormous amount of work? It is. I’m now outsourcing a little… with Eva on board helping to design pieces and Jia helping me research for social media and blogging. Byron has obviously been good to you… what do you love about it? Just the ability to be who you are. In the city I feel like you have to keep up… you have to have the right job, the right car, the right this, the right that…but in Byron I can get about without shoes or make up. It is really liberating. 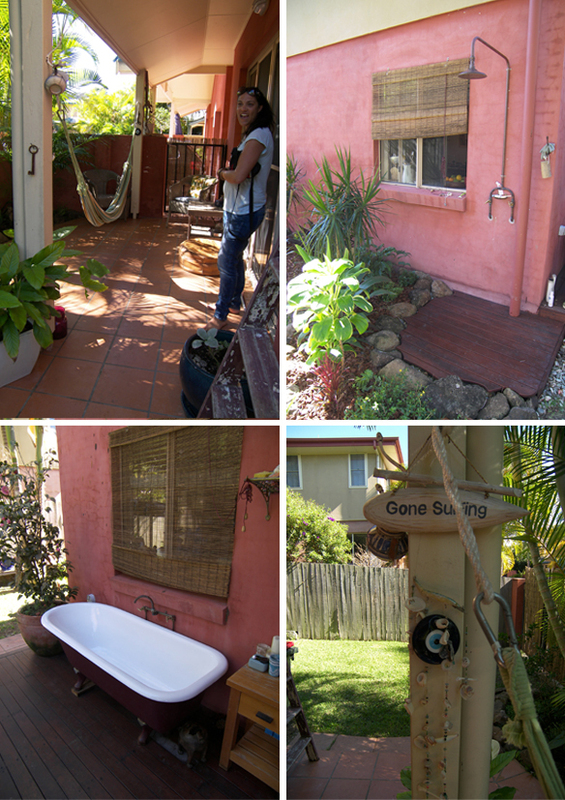 Snaps from around Nicoletta’s garden highlight she takes Byron’s liberating, relaxed lifestyle very seriously! In December 2008 I was involved in a serious car accident, but I was incredibly lucky and grateful to be alive… I have learnt that amazing things happen when you are grateful. I started to practice this little prayer thing in the first few weeks after the accident whilst horizontal and unable to move from my bed… I decided to find 10 things to be grateful for about each and every day… and you can imagine how hard that was whilst being stuck in a bed, in pain, for weeks and months on end.… but I did it, every single day, and I was seriously amazed at how many good things started to happen and how my life and my attitude changed because of that very simple practice. Is there anything you don’t like about Byron? Do you have any challenges living here? It’s definitely a challenge to live here… long term it separates the men from the boys, so to speak. What I really don’t like about Byron is how people aren’t paid their worth. I do my best to make sure my employees are paid well, and equally importantly, are happy. Relationships, housing and work are also very challenging. Well of course it is Island Luxe… not because they sell my jewellery… I just completely love their style. I also love the farmers market… I couldn’t live without it. I have this little ritual on a Thursday where mum and I meet there, do our weekly shopping, walk the dogs on the beach, and then go for breakfast… it’s my weekly catch up with her and I love it. But my favourite thing about Byron is the back road to Bangalow. It is just so beautiful. The rolling green hills, the winding road, the views – it really is breathtaking.